Renowned as a master musician, educator, and composer, Karla A. Philipp feels the best part of her career is her students. She credits her positive rapport among the younger generations to treating everyone with respect, regardless of their ages. She has also found that the kids appreciate her usage of humor. Although she retired in 2009 after 30 years of teaching strings for the Memphis City Schools, Ms. Philipp remains invested in the future of the field. She is currently lending her expertise to her roles as the conductor of both the Memphis Youth String Ensemble and the Memphis Youth String Sinfonia. In addition to her orchestral endeavors, Ms. Philipp also maintains a private studio for double bass players, and is an adjunct instructor of music education at the University of Memphis. Her focus at the institution will be her course, introduction to string music instruments. Further, Ms. Philipp is the director of the Calvary Ringers, the hand bell choir at Calvary Episcopal Church in Memphis. To keep up with developments in her field, she maintains affiliation with the International Society of Business, the Tennessee Music Educators Association, the Music Educators National Conference, the American String Teachers Association, and the American Federation of Musicians Local 1. In the past, she has had the privilege of teaching clinics and summer music camps around the country, including at the American Suzuki Institute in Stevens Point, Wis., and the Intermountain Suzuki String Institute in Salt Lake City, Utah. Ms. Philipp has pursued her love for music outside of academia as well. An active performer, she has played with the Tucson Symphony, the Arizona Light Opera, the Memphis Symphony, the Tupelo Symphony, and the Jackson Symphony Orchestra in Tennessee. She is also a freelance performer in the Memphis area. 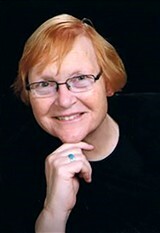 For her outstanding contributions to music, Ms. Philipp was inducted into the West Tennessee School Band and Orchestra Associated Hall of Fame in 2013, and was featured in numerous editions of Who’s Who in America, Who’s Who in the World, and Who’s Who of American Women over the years. Additionally, she was an honoree at the Amro Music Educators Walk, a recipient of the Haldeman Scholarship at the University of Arizona’s School of Music, and a four-time recipient of the Teacher Award from the Tennessee Governor’s School for the Arts. Out of all of these prestigious accolades, however, the highlight of Ms. Philipp’s career was receiving the Rotary Award for Teacher Excellence in 1998. She prepared for her ultimately successful journey by earning a Bachelor of Music in music education from the University of Arizona, and a Master of Music in double bass performance from Memphis State University. In her spare time, Ms. Philipp enjoys reading and traveling.